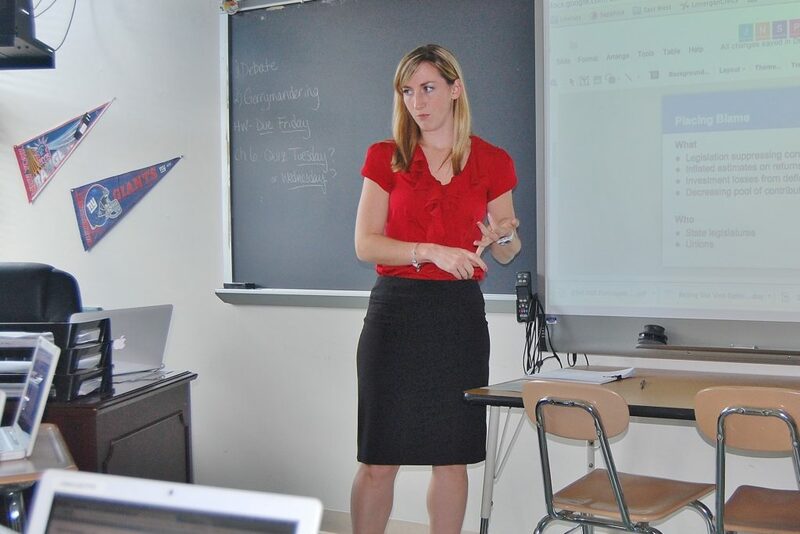 Penn Manor High School social studies teacher Cindy Lonergan has been selected to attend the Supreme Court Summer Institute in Washington, D.C., later this month. Lonergan, who teaches U.S. History, Civics and World History, was one of only 60 teachers from across the country selected to attend the program, following a competitive application process. She is the only participant from Pennsylvania. The Institute includes sessions led by Supreme Court experts, journalists, authors and lawyers who will give teachers an in-depth understanding of how the court chooses and decides cases and what it’s like to argue before the justices. The Institute covers six current or recent cases and culminates with a visit to the Supreme Court to hear decisions handed down. The program prepares participants to teach about current and past cases and to share what they’ve learned with their fellow teachers. Lonergan will attend a session from June 23-28. Since the Summer Institute began in 1995, more than 1,000 teachers from across the country have completed the program.